Online tee times are not availabile for Penina Championship. The grandfather of all the courses in the Algarve and a permanent living symbol to its architect and active promoter, Sir Henry Cotton. Originally paddy fields for rice growing rice have been converted into a flat challenging course and especially designed for the stronger player. Something short of half a million shrubs and trees were planted in the conversion. As the fairways are so flat Henry Cotton introduced strategically placed water hazards and bunkers to catch the unwary long hitter. 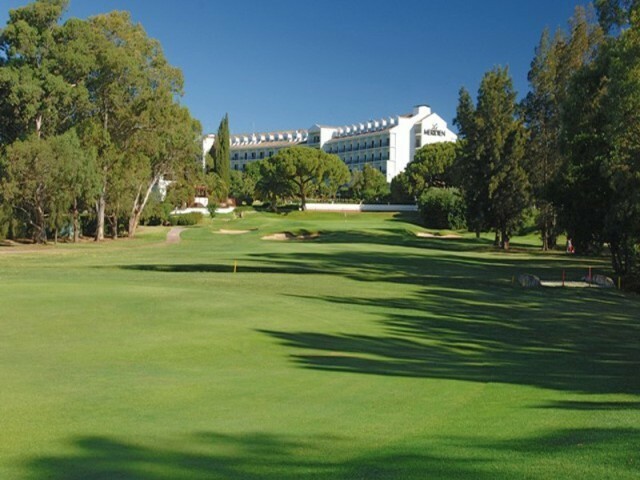 The Penina Championship Course has many times been the home of the annual Portuguese Open which is now referred to as the Algarve Open. 1st time playing Penina Championship. Pretty course and well landscaped. Mature course with trees that can provide shelter yet a pain if your balls land anywhere below the trees. Bad experience was we started at hole 10 as it was a busy day and after hole 18, we went to hole 1. When we got there, a lady came up and said to us “You play fast? Did you book?”. She was quite obnoxious and I said this was our 2nd 9. I also said if you play fast, you can go ahead as this is our first time playing here. She mumbled something and her husband said is better we proceed as they are walking and we have a buggy. Our first time on Penina Championship course. Greens were with a lot of sand and under aeration, thus putting was not that much fun. Course itself is technical with perfectly placed water hazards and numerous bunkers. Old eucalyptus trees give a nice smell to the air. Although flat and without fantastic manoramas, it is very interesting for golf itself! The Course was in fantastic condition (although a little tidying up required around the edges) and the weather was good to us. A great experience to play at a famous course. Will certainly be playing the course again and will book it through yourselves. To post a review, score or a notice on Penina Championship page's or to connect with other Penina Championship golfers, please log in to your account or sign up using Google or Facebook.